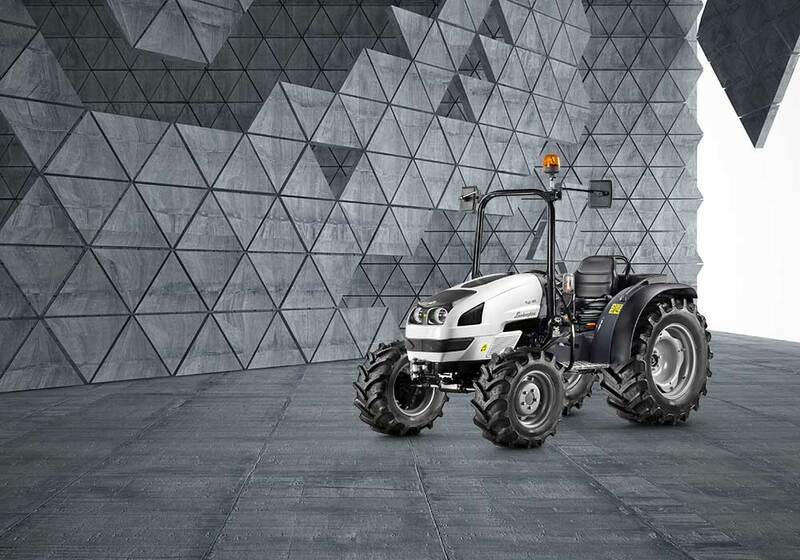 Ego is the new frontier for the small tractor segment and is a concentrated package of energy and design. Compact and agile with the indomitable spirit of a much more powerful machine. Multi-role versatility with generous standard equipment and a complete range of accessories catering for a wide variety of applications and compact dimensions perfect for working in restricted spaces. Practical and fast but also extremely reliable with unbeatable traction and stability even on gradients. Intelligent design fusing style and function. Perfectly proportioned compactness, with rounded forms and a sloped hood; an understated design combining simplicity with elegance, embodying the outstanding capabilities of the Ego to create a tractor unlike anything else in its class. MITSUBISHI engines: the perfect combination of sturdy reliability, high performance and fuel economy. Liquid-cooled four cylinder Stage III A engines with indirect injection. Available as a naturally aspirated variant or as a turbo version, with maximum power at 3,000 rpm and a generous torque curve giving the flexibility needed to cope with sudden variations in load. 28 litre tank situated between the dashboard and the engine, for maximised cooling system efficiency, while a 15 litre supplementary tank is also available for extended autonomy. Outstanding agility: for simple, immediate manoeuvres and turns between rows. Transmission with synchronised power shuttle: twelve plus twelve FWD/REV speeds with supercreeper gear. A generous steering angle of 57 degrees and a rapid steering action make manoeuvring quick and easy. Outstanding safety, with button-operated front and rear electrohydraulic differential locks and wet disc brakes. To cater for a variety of applications needing different implements, three PTO configurations are available to ensure the right solution for every job: a synchronised rear PTO (with selectable speeds of 540, 540ECO and 1,000 rpm), a ventral PTO (for fitting belly mower decks) or a front PTO combined with a 600 Kg capacity lift. Split hydraulic system for unparalleled performance. The hydraulic system consists of two separate circuits: one with a dedicated 30 litre pump feeding the 1,200 Kg capacity rear lift and the six-way distributors; and a second circuit with a 15 litre pump for the hydrostatic steering system. An optional 600 Kg capacity front lift is also available, with folding coupling bars and independent 1,000 rpm PTO with electrohydraulic clutch. Platform suspended on silent-block mounts, to cancel out vibration and noise for superior driving pleasure. Through intelligent space usage, the driver area (like the overall dimensions of the tractor) has been kept as compact as possible to maximise the agility of the machine without sacrificing comfort. Controls laid out intuitively for superb comfort and ergonomics.As well as different engine powers, the Ego range also offers a choice of platform heights and widths: the lowest version is ideal for fruit orchards, while the Ego 55 has the largest platform of all, for more working space. A cab version is also available, with air conditioning, a pre-wired system for installing a radio, opening front and rear windows and adjustable rear view mirrors.